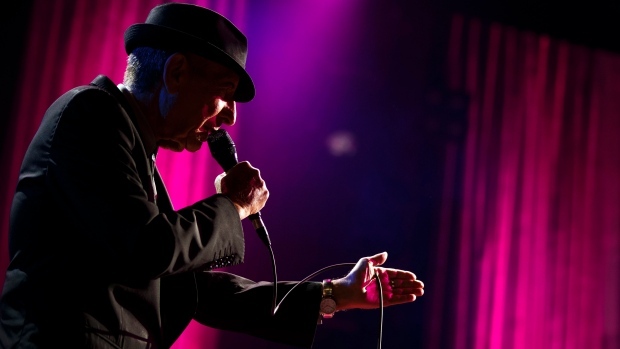 This man has been known to be Uplifting. . . Authors AtoZ will present a mixture of genres and authors,and will include literary authors, lost generation writers, a Beat writer, journalists turned authors, and a few surprises. Glen David Brin, born October 6, 1950 is an American scientist and award winning science fiction author. He's received the Hugo, Locus, Campbell and Nebula Awards. One of his novels, The Postman was adapted to film, starring Kevin Costner in 1997. In nonfiction, Brin's The Transparent Society won the Freedom of Speech Award of the American Library Association and the McGannon Communication Award. Brin helped establish the Arthur C. Clarke 'Center for Human Imagination' and serves on the advisory board of NASA's 'Innovative and Advanced Concepts' group. He has been a guest on certain tv shows such as The Universe and Alien Encounters and serves on the advisory board for the Museum of Science Fiction. Brin writes hard science fiction and uses plausible scientific or technological change as part of his plot driven stories. Following are some of his works: The Uplift Novels (involving uplifting creature species to a sentient state)-Sundiver, Startide Rising and The Uplift War; The Uplift Trilogy (aka Uplift Storm trilogy)-Brightness Reef, Infinity's Shore, and Heaven's Reach. All these books were written between 1980 - 1998. I have read all of these novels. Brin has written many stand-alone novels, but the ones I've read are: The Postman (1985), Heart of the Comet (1986), Glory Season (1993), and Kiln People (2002). The Postman was converted to film by Kevin Costner-who also played the main character. In addition, Brin authored graphic novels, short fiction and one of the three books in the Asimov's Foundation Universe - Foundation's Triumph (1999). Which leads to the Killer B's. David Brin, Greg Bear and Gregory Benford - the Killer B's of SciFi. Approved by the the family of Asimov, these three writers created the Second Foundation Trilogy, in an attempt to wrap up loose ends and explain gaps in the timelines. I'd recommend these three later novels to the fans of Asimov or the Foundation series. 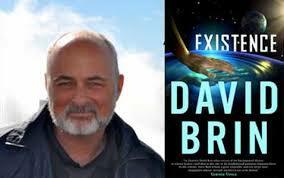 Have you heard of or read David Brin novels? What do you think about dolphins piloting spaceships? Please leave a comment to let me know you were here and I'll respond. Thanks for dropping by! 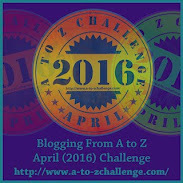 Hope to see you around the A to Z list. 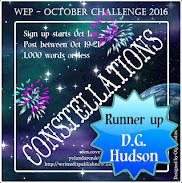 Yes, it will Hilary and I'll make it a tab at the top of my blog when the challenge is over. One day I'd like to make some of these challenge collections into mini-books too. They get lots of pageviews. Will email you today. Sounds like a very intelligent and innovative person who encourages thinking out of the box. I'm a big fan already. Thank you for introducing him to me. My pleasure. And thanks for following, Nicola. 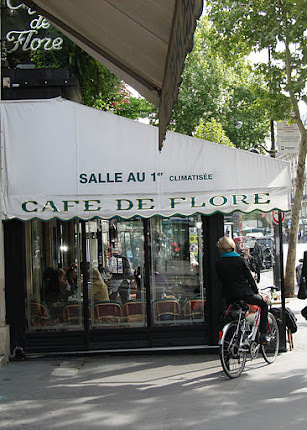 I'll be by to visit your blog. I'm pretty sure Brin does think out of the box a lot. You might like some of his work, I did. Probably thinking 'silly humans. . .' but if we uplifted the dolphins, they would look to humans as mentors. Hmmm. Glad you've heard of David Brin! I've never heard of David Brin, but I do remember the movie Postman. It seemed a bit too science fictiony for me. You must step outside your comfort zone in reading, JoJo, just to see if it might appeal more as a book than a movie. I enjoyed the book but it was scary to think of as a possible future. Dolphins would probably make better pilots than us. And steer this planet better on its course too. Yes you're right Nila, have we heard anything about Dolphin Wars? No, so maybe they know something we don't. . . I've not even heard of this fellow. I feel so out of the loop right now. What do I think about dolphins piloting space ships? Hmm. They are pretty smart. But that would mean the ship would have to be immersed in ocean water, right? I'm more confident of their capability to do it than our capability to build it. I've seen the movie The Postman but I've not read the book. He's accomplished a lot - pretty much everything you can as a science fiction author. Brin definitely gets around, and his blog is interesting as well. There I learned that Asimov's The Foundation may be put to film by the Nolan brothers. I've heard of the movie The Postman, but I haven't seen it or read anything by Brin. Thanks to your post, I now have to add his books to my TBR list. I like a dose of Hard Sci-Fi, and you can't go wrong with dolphin piloting ships, so I'm in! I'll be back for more suggestions! Cheers! Would love to see you drop in again, Catherine! There will be variety coming in this list. I'll be visiting you as well. The optimism of the Everyman? Had to look that reference up, Roland. I've only read Kiln People and I absolutely loved it. The whole idea of having a 'ditto' was fascinating. Highly recommended. Great, I'd also recommend Heart of the Comet and Glory Season, two very different stories. 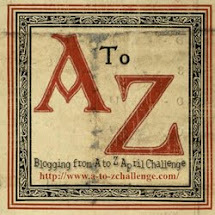 Hello from A to Z. I'm a new follower. I look forward to seeing what authors you'd share about this month. 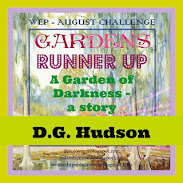 I'm doing an author/book theme too for the challenge. Thanks for the follow, Cynthia! That's great if you have a similar theme. I'll be by your blog to say hello and see your choices. I have heard of him, but not read any of his books. I have not read Brin - but know plenty of him! Need to read more. He has a blog too where he discusses science, politics, etc. Called 'Contrary Brin'. Interesting science, but I'm not that much into the political discussions.